They’re under starter’s orders. Aaand they’re off! The front runner in the new release stakes is this branded slot from NetEnt, which is expected to be released in March 2019 to coincide with the new National Hunt season. It’s not the first horse-racing themed slot, of course. Remember the success of Franki Detorri’s Magic Seven? But some cool new features suggest Scudamore’s Super Stakes could be first past the winning post. 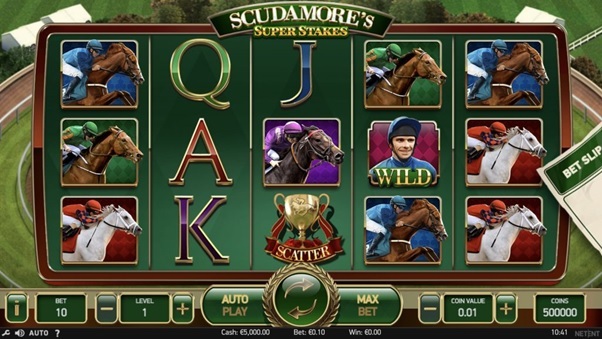 Named after eight-time Champion Jockey Peter Scudamore, the slot features not just the excitement of the spinning reels, but racing action and side-betting, too. There will be a winning potential of 5,000 times the initial stake. There will be the standard five reels with 20 winning lines, but it’s the extras that will grab your attention. The side game allows you to use the Bet Slip feature, where you can forecast how many times a particular symbol will appear over a set number of spins. Let the golden horseshoes activate wild symbols, then wager on Peter’s Classic Cup, backing your favourite to win in a race played out on your screen. This release is getting perhaps more buzz than most new games and is expected to be one of the best slots by NetEnt. Are you looking forward to saddling up and galloping to glory? 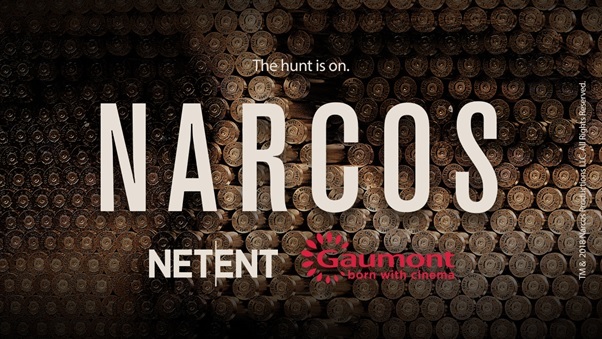 First announced at the ICE gaming conference last year, Narcos is also expected for release in March 2019. The game is based on the hugely popular Netflix drama series of the same name, which chronicled the extraordinary rise and fall of Colombian drug baron Pablo Escobar. Unusually there is little information about the game ahead of its release. Expect it to feature images and characters from the blockbuster series. Just remember, though, while the game is expected to be awesome, drugs are not cool. Playtech’s Age of Gods series is one of the most successful in slot history. Casino gamers love the gameplay and will be thrilled when this new version is released, within months. Rulers of Olympus features many of the major gods, unlike some of the previous variants that have focussed on one particular deity. Zeus, Hera, Hades, Athena and Aphrodite all feature. There will be five reels and 25 paylines – rising to 50 if you reach the free spins feature. Rewards will be up to 1,000 times your stake up to $500,000, or you can shoot for the hugely impressive jackpot tied into all the Age of Gods game versions. Expected bonus features include Battle For Power free spins, triggered when shifting Zeus and Hera wild symbols collide. Also look out for Thunderbolts Bonus and Olympic free spins. Bow down to the gods of Playtech for delivering this one soon. 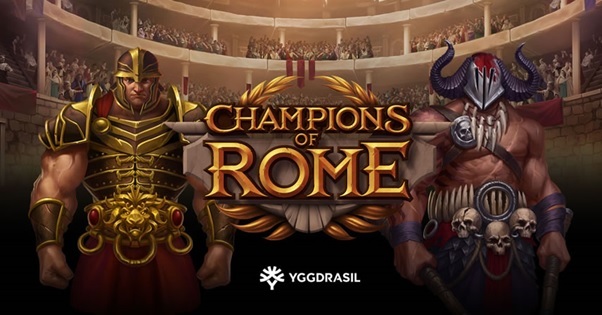 If you love your ancient history and have a penchant for exquisite gameplay and graphics, then all hail to the new Champions of Rome slot. Developed by Yggdrasil Gaming, this slot, expected to be released in February 2019, has plenty of options and big payouts to keep you entertained and on the edge of your chariot seat. With five reels and 20 lines, there are multiple Gladiator wilds, free spins galore and multipliers, with the biggest win potential of 3,000 times your initial stake. Not too shabby, and who said: “What did the Romans ever do for us” (it was Monty Python in The Life of Brian)? The Gladiator feature activates when two free spin symbols appear. A sword, mace or trident will appear and deliver a combination of wilds for winning lines. If you happen to hit three to five free spin symbols, then you get bigger rewards and the choice of a feature game. But beware, although one has higher rewards, it also has higher risks of failure! Although the slots outlined above are generating most buzz for 2019 new releases, there are many others to look forward to as well. Titles include Carnival Queen from Thunderkick, Ancient Fortunes: Zeus from Microgaming and Agent Jane Blonde Returns by the same developer. Agent Jane Blonde has lower payouts than other slots, using five reels and 15 lines.